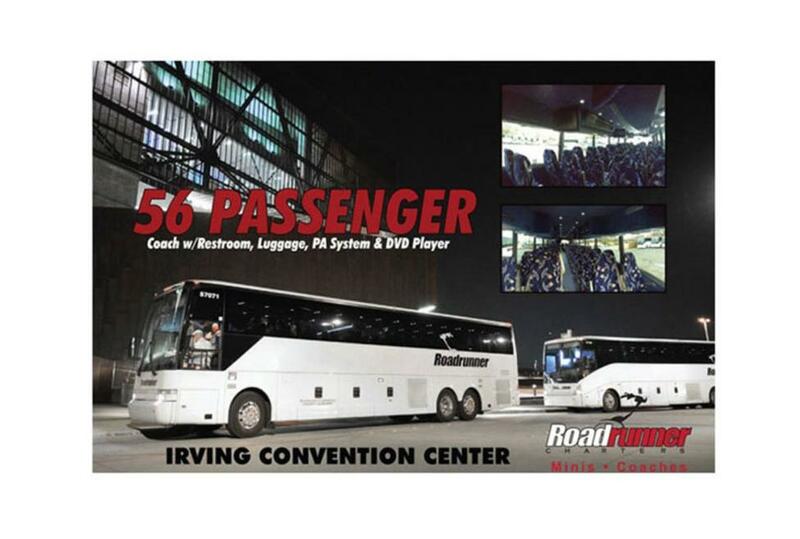 Roadrunner Companies have been in the motorcoach and minibus transportation business since 2001. During this time, we have been actively involved in the operation of providing group transportation services for church, student, military, corporate, professional sports teams,and private events. We have focused primarily on the Dallas/Fort Worth Metroplex and surrounding areas. Roadrunner is a family owned and operated business, and the entire team is hands-on in their approach to safety, service and quality provided to our customers, at all levels of the operation. We’re proud of our equipment, but Roadrunner’s greatest strength is our staff. Our employees are the most important part of our business. Great customer service is more than just shiny coaches, and our folks work hard at making sure our customers have a great time, every time. Let Roadrunner be your company of choice when needing group transportation.